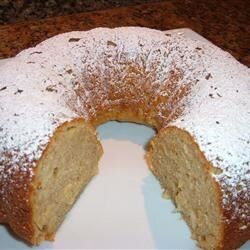 "This cake is so easy to make and delicious it is almost sinful. Tell them you made it homemade!" Prepare cake mix according to package directions for a 10-inch tube pan. Stir in the cinnamon and vanilla extract, then fold in the chopped apples. Pour batter into prepared pan. Bake in the preheated oven until a toothpick inserted into the center of the cake comes out clean, about 40 minutes. Allow to cool. This was a very good and easy cake to make. I like when the ingredients are usually already on hand and few. Thanx. WOW!! SO EASY, SO GOOD!! I DON'T KNOW WHY THERE AREN'T FIVE STARS ON THIS. I GAVE IT FIVE. THIS IS REALLY EASY & VERY DELICIOUS. WE PUT SOME COOL WHIP ON IT & YUM. THANKS CINDY. ANNE B.